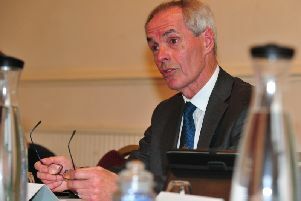 Communities are becoming increasingly concerned by the damaging impact of ‘county lines’ activity in North Yorkshire, according to the county’s Police and Crime Commissioner. Julia Mulligan said there had always been cross border drug dealing and gangs from places like Merseyside and Manchester had found a market in North Yorkshire, but the picture had changed in recent years. “I think we are being targeted by different types of criminals from different places and I think it’s more systematic,” she said. “They are using different methods to get drugs into the areas, such as cuckooing. The risks to those who are being used by these gangs are really significant. She said the county’s force really understood what was happening and the different gangs operating in North Yorkshire, but forces covering the ‘home base’ of the organised criminal groups behind the ‘county lines’ must take action at the source. “There has to be a joined up response by police,” she added. “I think that until recently some of those forces that have got these groups operating in their areas have been focused on what’s going on in there own areas, not necessarily on what’s going on elsewhere.